Hello!!! I am so happy to announce that I have been selected to join the artbymiran design team for their challenge blog!! Mi Ran is such an amazing artist and I love her images - they are great fun to colour and suit every occasion. Her images are available to purchase from her Etsy store. A new challenge is posted every two weeks - Anything Goes - is the theme, all projects must be new and hand coloured. You can only enter arybymiran Challenge a maximum of 3 times per challenge. You also will have a chance to be invite as a Guest Designer in the challenge a month later! So without further ado - here is my card. I have used the beautiful digital image - Florina. She has been coloured with Copic markers. 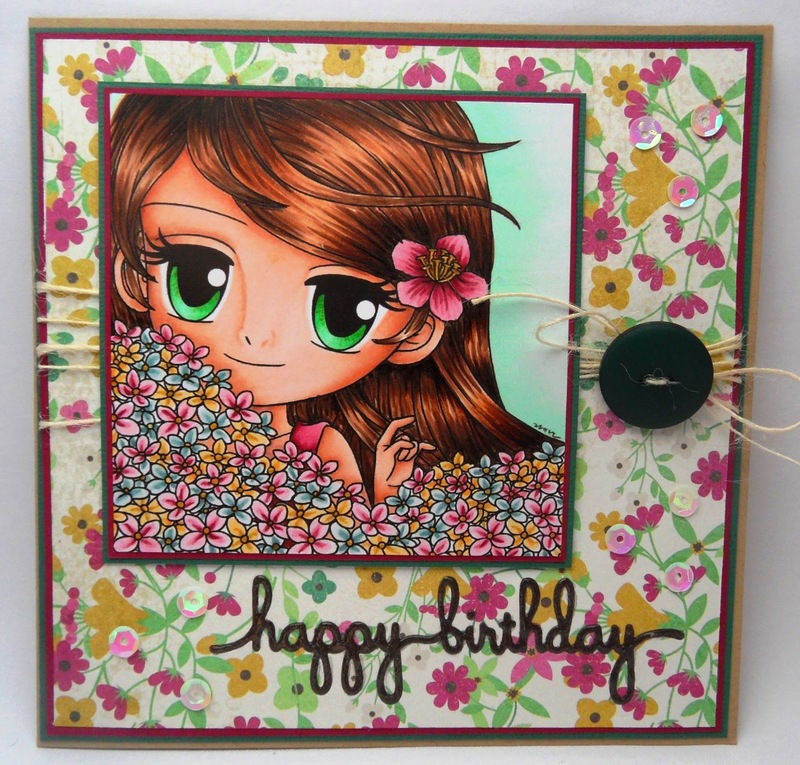 I used a spellbinders die for the greeting which I have inset into the card.